Sunworld Infrastructure Pvt. Ltd arises with housing project by the name of Sunworld Arista. 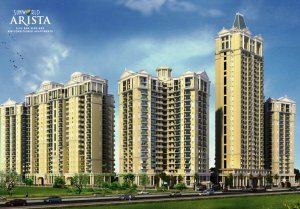 Located at sector 168-Noida, it will be next benchmark of real estate project in Noida with luxurious facilities and world class architecture. It is surrounded by green and open space. Its offer 1 BHK, 3BHK, 4 BHK luxurious flats as 615 sq.ft, 1750 sq.ft and 2100 sq.ft respectively with two type payment plan Such as DP Plan and CLP Payment Plan. It is good option for standards living at major location of Noida with your families. For more information about this project kindly contact with Property Frames or visit our website httpwww.sunworldaristanoida.com .